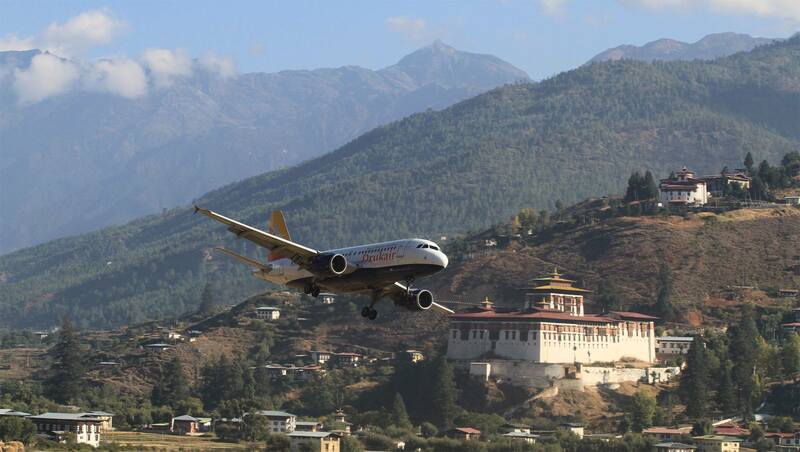 Drukair, The Royal Bhutan Airlines has flights that enter through the illustrious Paro Valley. The airline operates out of nine cities in six countries. No matter where you are in the world, Drukair will get you to the most peaceful place on Earth. Representatives can help you schedule the best way to fly to Bhutan. Expect expert service and care when you fly Drukair. Flights from Bangkok, Thailand and Kathmandu, Nepal have daily arrivals. Other flights use Singapore, Dhaka, Bangladesh, Sydney, Australia, and Kolkata, Bagdogra, and Gaya, India. A high volume of tourism may seem like a good thing for Bhutan’s economy, but for the Bhutanese, protecting their culture and environment is most important. Bhutan’s Royal Government used to limit the number of tourists entering the country. Officials believed that unrestricted access to the country would have a negative impact on the natural environment and ancient cultural traditions. This belief led to the notion of “High Value, Low Volume” tourism. Tourism, like all Bhutanese industries must be sustainable and environmentally friendly. The government wanted tourists to understand the feel the deep-rooted culture and traditions, so they would have a higher appreciation for their surroundings. Tourism has become the second highest economical contributions to the Bhutan economy, after the agricultural industry. Recently, the government decided to increase the tourism rate. The Tourism Council of Bhutan extended the tourism areas to include once protected communities, natural reserves, and ancient cultures. Plan your trip in conjunction with the festival. Why is Bhutan known for the word Happiness? Bhutan is known famously as the first country in the world to measure progress based on happiness. To do so, the 4th Druk Gyalpo coined the term Gross National Happiness (GNH). From then on, GNH was used to measure the country’s development instead of Gross National Product (GNP). The happiness of the Bhutanese is more important than material growth and there should be a balance between to two. A GNH Commission was created to take an annual measure of how the people fare. The poll is based on an index of nine domains. Living standards, education, health, cultural diversity and resilience, community vitality, time use, psychological wellbeing, ecological diversity, and good governess are the nine domains that are taken into account. 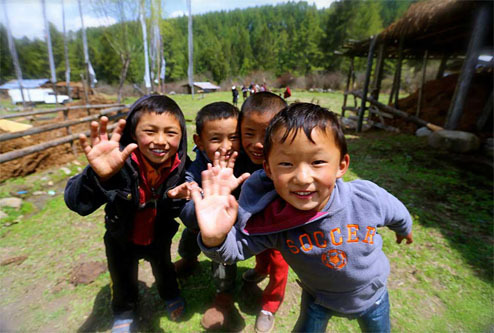 According to the GNH Commission, 81.5% of the population of Bhutan is deeply happy. The Commission is still working on ways to achieve total happiness for 100% of Bhutanese. 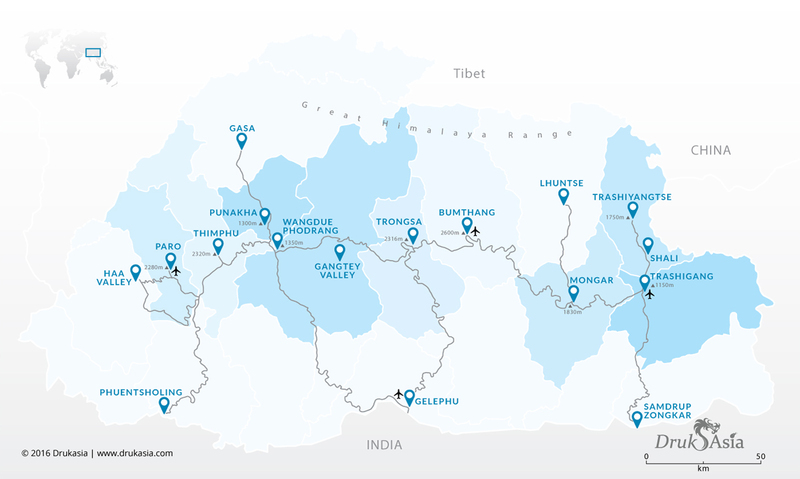 Bhutan currently has 4 zones and 20 Districts, with each districts being unique by itself and provide our travellers with new experience. Visa's will be issued to you when you enter Bhutan, but you must have prior authorization before your trip. An authorized Bhutan travel company can arrange for your Visa, accommodations, and tour packages. There are many reasons to visit Bhutan. For those who want a relaxing vacation, you will be treated like royalty with traditional massages and hot stone baths. Others may want to travel along the mountain ranges and bask in the glorious landscapes. Some may seek spiritual fulfillment. Visiting monasteries and temples may offer an air of enlightenment. 1. Tiger's Nest – Also known as Taktsang, is said to be the most spiritual place in Bhutan. The temple sits on the edge of a mountainside above the Paro Valley. 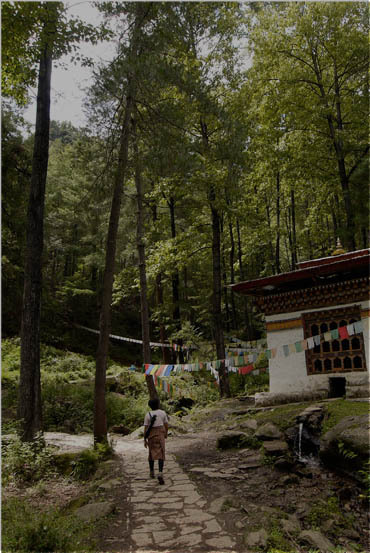 The walk is 3,000 feet over the valley where you can experience the peaceful and tranquil Bhutan landscape. The temple was built to commemorate Guru Rinpoche. He came to that location the back of a flying tigress. After meditating for 3 years, Rinpoche worked to convert the Bhutan people to Buddhism. 2. Punakha Dzong – Surrounded by Jacaranda trees, the Punakha Dzong is one of the most beautifully crafted dzongs in Bhutan. It was the second dzong built in the kingdom as its capital. Later in the 1950’s, Thimphu became the country’s capital city. The Punakha Dzong rests on the edge of the convergence of the Mo Chhu and Pho Chhu Rivers. Over the years, a flood, an earthquake, and several fires have damaged he fortress, but it continues to be rebuilt with its ancient architectural integrity. 3. Festivals/Tshechu – Tschechus are religious festivals honoring Guru Rinpoche. Families gather to receive blessings and enjoy masked dancers as well as other performers that entertain the crowd. The festivals are held in several dzongs and goembas throughout the year. One of the most popular is the Punakha Tshechu and Drubchen, which is the only festival that reenacts the 1634 Battle of the Five Lamas. 4. 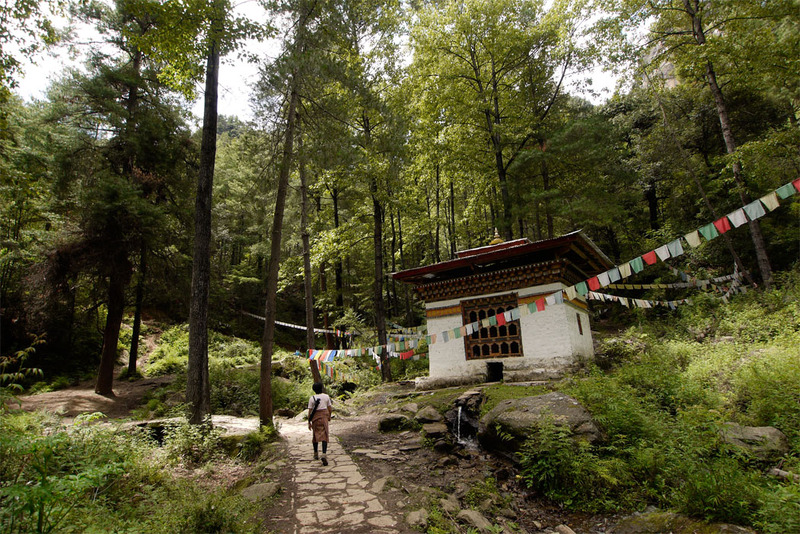 Bumdra Trek – Bhutan offers a 2 or 3-day trek to the Bumdra Monastery. This guided tour is complete with the addition of a cook, assistant, and horses to carry your belongings. Starting at the Sang Choekhor Buddhist College, you will journey through a clearing that holds magnificent views of the Bhutan valleys and mountaintops. The first night will be spent in The Cave of a Thousand Prayers, which is just beneath the Bumdra Monastery. Visit the monastery and then travel on down the mountain to the Taktsang Monastery and on to the Paro Valley. 5. Soi Yaksa Trek – This trek is a 12-day tour of the Bhutan Kingdom. The trekking level is moderate, meaning that some of the terrain is smooth and easily travelled, while other parts are quite arduous. 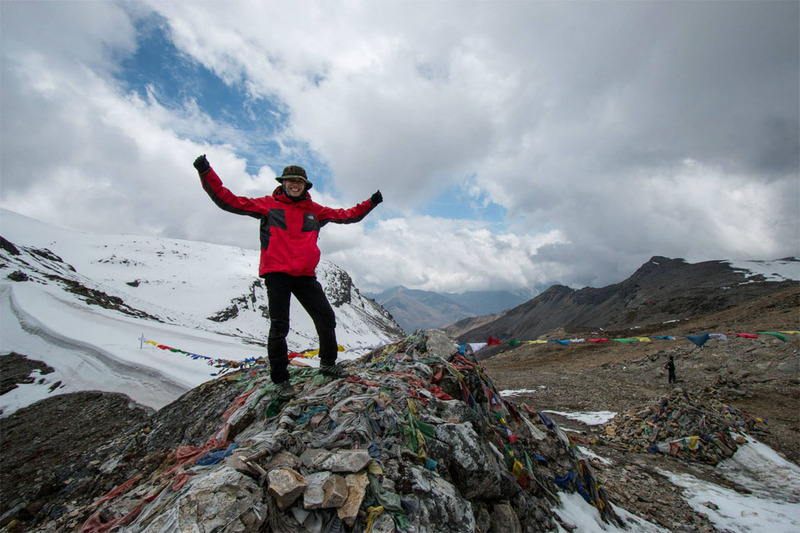 Reaching elevations of 4700 meters, you will explore wildlife, mountain peaks, and ancient temples. 6. Bumthang Valley – Bumthang Dzongkhag is a massive region that is made up of the Choekhor, Tang, Chhume, and the Ura Valleys. Choekhor Valley is the largest of the region as is considered the Bumthang Valley. This peaceful valley is filled with apple orchards, dairy farms, potato patches, and rice and buckwheat fields. The first Swiss cheese making facility in Bhutan began in Bumthang. The factory is also a brewery that houses the best beer in Bhutan named the Red Panda. Guests can tour the brewery and cheese factory during specified hours. 7. Uma Punakha – The Uma by COMO Punakha is a resort style retreat that offers 11 luxury rooms with exquisite views of the Punakha Valley. The hotel contains a romantic restaurant with intercontinental and traditional Bhutanese cuisine and a luxurious spa with relaxing hot stone bath treatments. 8. Black-Necked Crane – The crane is a wildlife creature that comes to the Phobjikha Valley every winter. It is an endangered species and is celebrated by the Bhutanese annually with the Black-Necked Crane Festival. This 9-day event is intended to bring awareness to the bird’s importance. The Crane Festival is held on the King’s birthday, November 11th. 9. Traditional Textiles – Traditional textiles are generally created by Bhutanese women. The material is handwoven and dyed with intricate patterns making each garment unique. The National Textile Museum is in Thimphu. 10. Gom Kora – The Gom Kora or Gomphu Kora is a beautifully erected temple that is covered with Buddhist carvings. This is the site where the Guru Rinpoche meditated. He left his impressions on a rock. It is said that Rinpoche was meditating in a cave and was so startled by an approaching demon that he left his imprint on a rock. Once he turned into a garuda, he left an imprint of his wings on nearby rocks. Guru Rinpoche struck a deal with the demon to allow him to finish his meditations. The deal was sealed with two fingerprints left on the rocks that can still be seen. 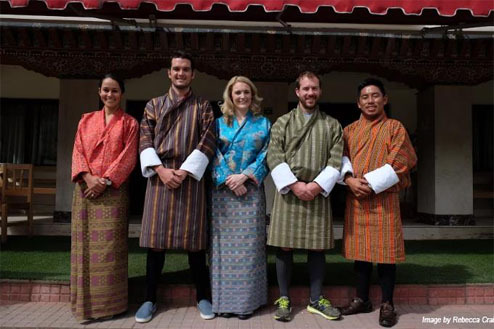 There is a lot to do in Bhutan and no limited amount of outdoor activities. Whether you want to commit to an overnight trek, explore river rafting, or tee off on a relaxing golf course, your tour advisors can help to provide you with an appropriate itinerary. Golfing – The Royal Thimphu Golf Club, located in the capital city of Thimphu, is a 9-hole course. It has a direct view of the Trashi Chhoe Dzong, the King’s palace. This golf course is the only one that is open to the public. Biking – Many of the biking trips are on paved roads, but there are quite a few off-road trails. Some of the terrain may be more challenging as you enter the mountainous region. Biking in Bhutan can take you through towns and small villages where you can experience the Bhutanese culture. River Rafting and Kayaking – Rafting and kayaking tours take place on 6 major rivers. The water’s current varies. Some currents can be somewhat rough, while others are smooth. During these trips, you will be able to see natural wildlife, ancient temples, and unique landscapes. 1. Wear a gho, for a man or kira, for a woman. They are traditional Bhutan garments. You can grab one and wear it at one of the festivals. 2. 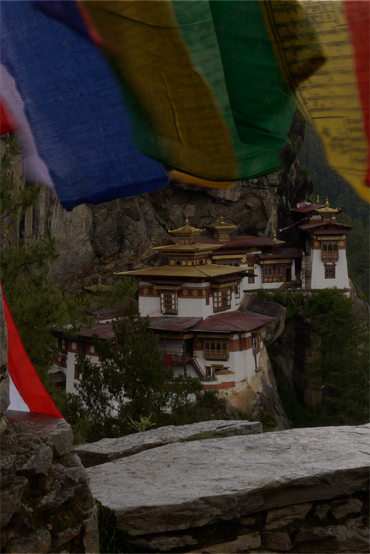 When visiting Bhutan, hang some prayer flags along places of spiritual importance to bless the surroundings. 3. See what it is like to stay with a large Bhutanese family overnight. Druk Asia can arrange for an overnight stay at a local farmhouse. 4. Try traditional snacks and cuisines. Grab a quick snack of yak cheese or a silver of jellied cow skin. Have a delightful Uma Burger made with yak patties and Bumthang Gouda cheese for dinner. 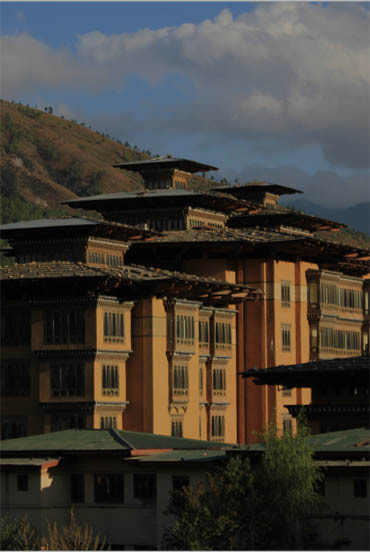 Bhutan’s high-end luxury resort hotels offer quality relaxation packages. The Dotsho, or the traditional hot stone bath, is available in most hotels. The Terma Linca Resort & Spa has a large wooden rooms reserved for the tranquility needed for yoga and meditation. Uma Paro offers massage and yoga for your body and mind. Taj Tashi has authentic Indian beauty and wellness treatments at the Jiva Spa. Zhiwa Ling offers classes in its Meditation House with views of the most spiritual site in Bhutan, the Tiger’s Nest. His Majesty, the King Jigme Khesar Namgyel Wangchuck was extremely popular even before he married a commoner, Jetsun Pema. His family line has welcomed the throne for the past 100 years. He is the fifth ruler in his family to take possession on the crown. Bhutanese admire and love the royal family. The national flower of Bhutan is the Himalayan Blue Poppy or Euitgel Metog Hoem. This unique flower grows above tree level on rocky mountain regions. The official religion is Vajrayana Buddhism. Bhutan is the last kingdom to practice Vajrayana Buddhism. The teachings allow one to embody both mind and body. You will reach enlightenment if you follow and understand the concepts of emptiness, wisdom, compassion, and skillful means. The Takin, or gnu goat is Bhutan's national animal. It lives in forested areas in mountain areas of 4,000-meter altitudes and above. Takin’s have a stocky body on short legs with two-toed hoofed feet. It has a long nose and stout horns. These animals feed on bamboo, grass, leaves, and other plants. Takin are rare, therefore they are an endangered species. Archery became Bhutan's national sport in 1971. Although only men were allowed to play during festivals, tournaments, and religious celebrations, Tshering Choden was the first female archer to be asked to enter into the Summer Olympic Games. Bhutan's national carrier is Drukair. Established in 1981, The Royal Bhutan Airlines, Drukair began as a small, single-strip airline company. As interest to Bhutan grew, so did the airline. There are 3 airports in Bhutan, which include Paro, Bumthang, and Gelephug. The airline now operates out of 6 countries and 12 cities. Drukair connects flight to and from Dhaka, Bangladesh, Kathmandu, Nepal, Bangkok, Thailand, and Singapore. Drukair also travels to Bagdogra, Delhi, Gaya, Kolkata, and Guwahati, India. Drukair has a professional team that provides quality, reliability, and safe travel for both domestic and international flights. The official language in Bhutan is Dzongkha. Bhutanese also speak Tshanglakha and the Lhotshamkha. 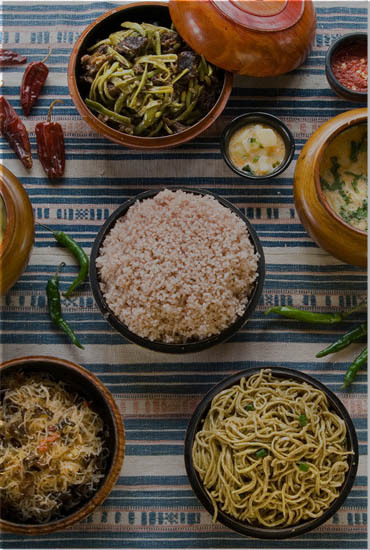 Tshanglakha is spoken in the western region of the country and Lhotshamkha is used by the southern Bhutanese. There are at least 19 dialects of Dzongkha that are spoken all over Bhutan. Most of the people that are in the tourism industry speak English. It is also being taught in schools. Ngultrum (NU) is Bhutan's currency. Until the 1960's, Bhutanese bartered goods and services because there was no paper money. Today, in addition to ngultrum, you can use Indian rupees at different shops and restaurants around the country. The climate changes with the elevation. Because there are mountainous regions as well as plains and valleys, the temperature can range from subtropical to arctic. Spring, summer, monsoon, autumn, and winter are the five seasons in Bhutan. It snows most of the year in the northern area. 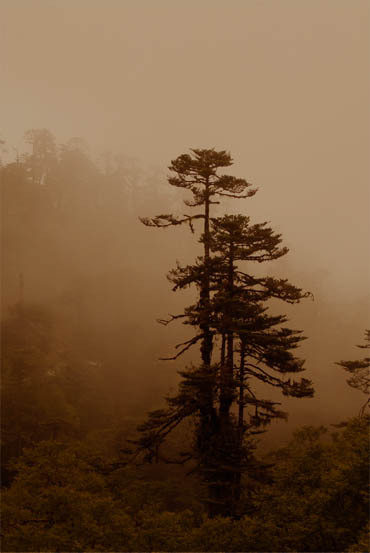 The southern region of Bhutan has a year-round subtropical atmosphere. The central region is cool with dry winters. Eastern Bhutan is dry and warm while the west has heavy Indian monsoon rains that last between June and September. For generations the Kingdom of Bhutan has isolated its culture and society from outside influences. This drive is to insure the protection of ancient teachings. Today, these teachings are passed on through festivals and other events that tell stories of their ancestry. 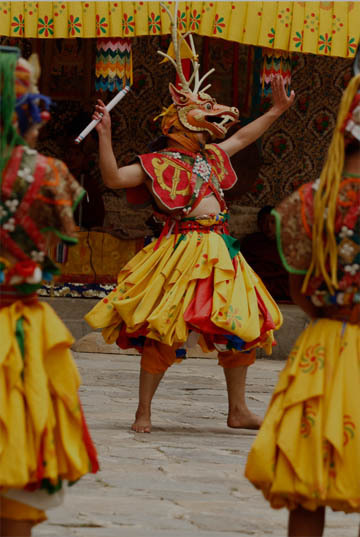 Bhutanese dress in festive costumes, some with masks and created detailed recreations and dances that entertain and bestow onto others the Bhutanese spiritual life story. Buddhist paintings are found in dzongs, goembas, and lhakhangs. The hand-painted murals tell stories that deliver messages of peace and harmony. One example is the Thuenpa Puen Shi (Four Friends) mural depicts the harmonious efforts between a monkey, peacock, elephant, and a rabbit. The four decided to work together to grow fruit that they all wanted to eat. Each had a job and through cooperation and harmony, they were able to reach the fruit after it had grown into a tree. A prayer wheel is a cylindrical wheel with a hand carved mantra on the outside, Om Mani Padme Hum, and printed prayers on the inside. They are usually made of wood, stone, brass, tin, or coarse cotton. Spinning the wheel clockwise will release the prayers into the world and purify negative energies. It also releases blessings and wishes. Prayer wheels can be spun by hand, water, or fire. Water powered prayer wheels blesses the water as it touches the wheel. Those prayers flow to rivers, lakes, and oceans. Heat emanating from a lit candle or electric light spins fire prayer wheels. The light passes its blessings to everyone it touches. The Takin, or gnu goat is Bhutan’s national animal. It lives in forested areas in mountain areas of 4,000-meter altitudes and above. Takin’s have a stocky body on short legs with two-toed hoofed feet. It has a long nose and stout horns. These animals feed on bamboo, grass, leaves, and other plants. Takin are rare, therefore they are an endangered species. Archery became Bhutan’s national sport in 1971. Although only men were allowed to play during festivals, tournaments, and religious celebrations, Tshering Choden was the first female archer to be asked to enter into the Summer Olympic Games. Bhutan’s national carrier is Drukair. Established in 1981, The Royal Bhutan Airlines, Drukair began as a small, single-strip airline company. As interest to Bhutan grew, so did the airline. There are 3 airports in Bhutan, which include Paro, Bumthang, and Gelephug. The airline now operates out of 6 countries and 12 cities. Drukair connects flight to and from Dhaka, Bangladesh, Kathmandu, Nepal, Bangkok, Thailand, and Singapore. Drukair also travels to Bagdogra, Delhi, Gaya, Kolkata, and Guwahati, India. Drukair has a professional team that provides quality, reliability, and safe travel for both domestic and international flights. Ngultrum (NU) is Bhutan’s currency. Until the 1960’s, Bhutanese bartered goods and services because there was no paper money. Today, in addition to ngultrum, you can use Indian rupees at different shops and restaurants around the country. There is a diverse amount of flora and fauna in the Kingdom of Bhutan. Because of the varying temperatures, creatures enjoy the subtropical and arctic climates. Although there are some rare animals in the National Park, trekking through the mountainous regions will give a glimpse of a variety of wildlife animals, like the blue sheep. The blue sheep is a cross between a goat and a sheep. It has a bluish hue during the winter months and can be viewed between 1800-4300 meters. Yaks, wolves, musk deer, fat marmots, and takins also love the high atmospheric temperatures. Bhutan is home to 3 species of langurs and 600 species of birds. Langurs are monkeys with both gray or golden-brown fur and interesting black faces. The birds migrate to the wondrous and peaceful Bhutan country at different times of the year. The raven is the national bird. It represents one of the Bhutan deities, Gonpo Jarodongchen. The protected black-necked crane another bird that is revered by the people. Over 50% of the country protects its wildlife. Whether in national parks or wildlife preserves, the conservation efforts exist to maintain the animals’ life and culture. Bhutan is filled with stunning architectural building, such as dzongs, goembas, and lhakhangs. Dzongs primary function, beginning in the 17th century, was as a fortress. Today the buildings are used as administrative offices for each of the 20 dzongkhas (districts) in Bhutan. Dzongs are made of stone or pounded mud and timber with wooden shingled roofs. Even though fires caused many of the dzongs to be rebuilt, reconstruction method are consistently traditional with the exception of iron roofs instead of wooden. Goembas are monasteries. Each goemba contains an autonomous community complete with a temples and a dormitory. Goembas have a khemar just beneath the roof, in fact all religious buildings in Bhutan have this large red stripe. Brass plates are placed on the khemar to represent the sun. Goembas often have painted murals that depict the Wheel of Life, the Six Symbols of Longevity, and the Guardians of the Four Directions. A geometric poem on a small quilt is dedicated to Zhabdrung is often at the entrance of goembas. Lhakhang have yellow roofs with a bell-shaped ornament painted in gold on the top. Similar to goembas the entrances of Lhakhang have painted murals depicting with the Guardians of the Four Directions or the Wheel of Life. People walk outside of the building in a clockwise direction and spin the prayer wheels located on the lower level outside of the lhakhang. After spinning the prayer wheels to release positive prayers, you will enter the temple into a great hall. The walls will be covered with astonishing Buddhist paintings with an altar that sits at the end of the hall. A statue of an ancient Buddhist figure, Guru Rinpoche or Jampa, dominates the area. Founded in early 2000 B.C., Bhutan was known by many names. Some of the names included Lho Jong, Lho Mon Kha Shi, Lho Jong Men Jong, and more. 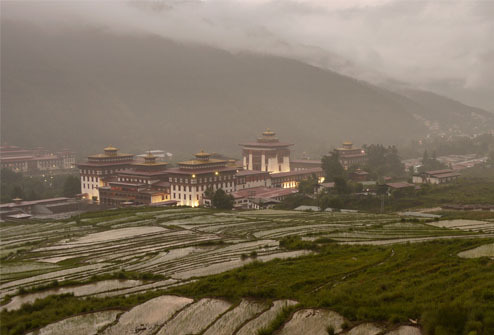 During the 17th century, it became officially known as Druk Yul, the "Land of the Drukpas". Drukpas referred to the religion of Buddhism that the people began to practice, which is now the dominant religion of the country. Previously in the 7th century, Bonism was the religion in Bhutan until the Tibetan King Songtsen Gampo and Guru Rinpoche introduced and taught the people the details of Buddhism. Ngawang Namyel, the first Zhabdrung, established his power after he arrived in 1616 A.D. He defeated several Tibetan armies and unified battling Bhutan tribes. He started a governing system that was followed until his death. The system broke down and infighting began. A new system of government began with the establishment of a monarchy. The first Druk Gyalpo, or Dragon King provided rules for Bhutan citizen to have a better way of life. In 1971, Bhutan officially became a participating member of the United Nations. Hear what the local have to say? The isolate Himalayan country has preserved its culture and traditions for thousands of years. Bhutan still tries to preserve its culture even through the new modernization efforts and technological influences. Bhutanese practice Buddhism, the religion that was brought to them in the 7th century. While the majority of the country is Buddhist, the southern region practices Hinduism. The Bhutan people keep their religious traditions alive with festivals and other events that celebrate their history. More than 60% of Bhutanese are farmers, breeding livestock and harvesting crops. These rural people are self-sustaining. They make their own clothing, food, decorations, and bedding. Only small amounts of people live and work in urban areas. Most work in the service industries where they can be tour guides, teachers, army members, or police officials. Women are able to work in these industries, in addition to producing weaving for additional household income. When you vacation in Bhutan, you will come to realize that the Bhutanese are kind, open, and generous. They will leave you with a memorable friendly impression and a wonderful cultural experience after visiting the kingdom. Have question on planning your trip to Bhutan? Bear in mind that securing tickets during high season will be difficult unless you start planning your trip 3 months in advance. Start talking to us and let us help you with reserveing your seats at no cost.